A Brief Meeting With Dr. Genady Shlomper- Hindi Instructor In Israel! In company of an academician: Met Dr. Genady Shlomper who happens to be a Hindi Instructor at Tel Aviv University in Israel! 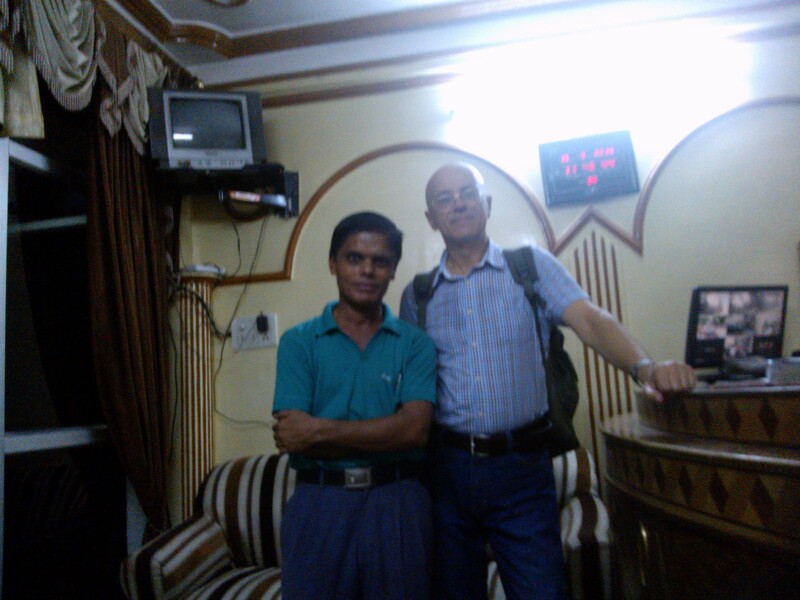 Dr. Genady Shlomper came to Allahabad both as a tourist and as a person with purpose! He was here to attend a function organized to mark Hindi Divas on September 14. I could not be part of this function since I had to attend another event organized in a different city. As a result of that I could not meet the professor at this event, but next day I got an opportunity to meet him. It was a hurried affair since he was about to leave for Ayodhya. Anyway, it did not deter me from asking some interesting questions. Interestingly, it was a memorable experience to seek an appointment with a foreigner in my own language. The few minutes of talk over telephone in Hindi to fix time for the meeting was an unique experience. This time too when I met someone from foreign land I noticed remarkable simplicity. Right in the beginning he confessed that he is no big guy! True, he might not be a celebrity but you need not to be a celebrity to enjoy a dignified stature! Speaking about his love for Hindi he stated that there was no emotional reason to learn Hindi. He embraced this language because he found it to be useful in scheme of things about to unfold in future. The market is growing and more and more job opportunities get concentrated in Asian countries. Therefore, it’s always going to be beneficial to learn Asian language instead of learning European language! It appears “Capitalism” has proved to be lifeline for Asian languages languishing under weight of English! Speaking about the influence of Hindi in Israel he said that it’s not very commonplace to notice Hindi speaking person there. However, in modern times there is always a greater space for assimilation of newer ideas from other nations and people in Israel are not hesitant to fall in love with Hindi! On a different note, speaking about the specialties of Allahabad, he said that he found nothing fascinating about it! 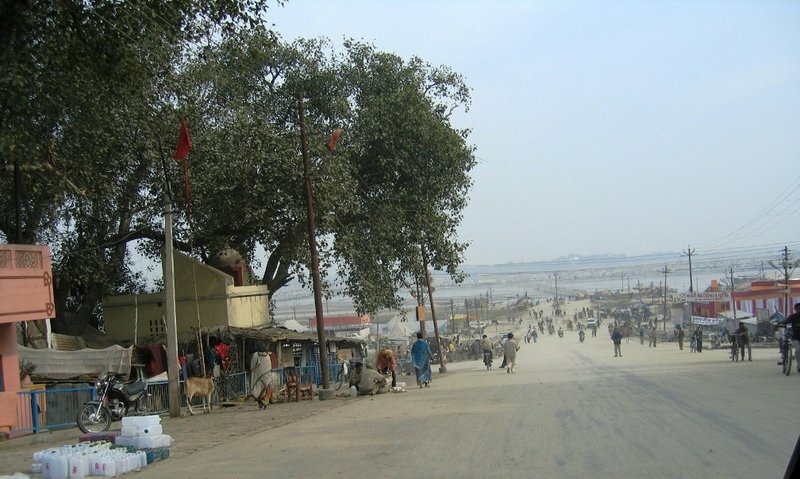 The only striking thing about this city was confluence of three rivers at Sangam area! Hearing this I was but compelled to ponder about one of the ills of globalization: That it’s fast making cities across the globe to lose their uniqueness! All cities are simply becoming clone of each other! This brief meeting ended in few minutes but it gave rise to so many ideas as food for thought. That’s the plus point of being in company of academicians! P.S. :- Dr. Genady Shlomper is a Hindi Instructor at Tel Aviv University, Israel. And never revolution(words that bring phenomenal changes). To our wicked and vain calculations. Many people nurture this flawed opinion that Sanskrit is a dead language. That’s pretty ordinary claim in my eyes. Henry Shock, a scholar in Oriental studies from Illinois University, says that ” it is highly doubtful Sanskrit is a living language, but it is never doubtful that it is living in your body.” True, this language is our life force. This language has given birth to all major Indian languages. Even the ”standard Hindi” is comprised of words borrowed from Sanskrit. Anyway, I read many thought provoking pieces on this issue. I am presenting excerpts from some of the articles I came to read to quash the bogus belief that this language is no more in use. I am really thankful to all those authors whose writings have been quoted in my article. I am re-publishing the excerpts with due credit to them. Ajit Kumar Jha finds some of the biggest stars in academia teach Sanskrit. Imagine going to Varanasi to study the tragedies of the Greek playwright Sophocles. Ludicrous? It seemed equally foolish to me when on my way to California some years ago, I met the daughter of a Marxist political economist from Calcutta, who was headed for Chicago, to pursue her doctoral degree in Sanskrit. The double irony of the situation befuddled me: even the Marxists were turning over-zealous to revive Sanskrit, and strangely one had to go to the West to do so! Yet the irony has been in place for over two centuries now. Even as we neglect our rich cultural heritage, it is the West that has revived interest in the East. Notwithstanding Edward Said’s powerful attack on the “Eurocentric” epistemology of Orientalism, and political correctness apart, half a century after Independence, it is actually the Occident that is busy rediscovering the genius of the Orient. Ever since 1786, when Sir William Jones, in a paper presented to the Royal Asiatic Society, in Calcutta, said, ”the wonderful structure” of the Sanskrit language, is ”more perfect than the Greek, more copious than the Latin, and more exquisitely refined than either,” the West has been busy learning from Sanskrit. While we battle each other on the streets on whether Sanskrit should be revived in the school curricula or not, top notch western universities have been busy churning one esoteric dissertation after another on Panini’s Ashtadhyay and comparing Bhartihari’s and Patanjali’s grammatical logic. There are essentially two traditions of teaching Sanskrit in the West today: one scholastic, as a classical subject taught in the universities; the other as a religious discourse in the various temples being built by the cash rich Indian diaspora. The scholastic tradition, which began a couple of centuries ago continues till today. The temple tradition is a post-1965 phenomena, the year President Lyndon Johnson liberalised immigration quotas. Today, the children of the first wave of professional Indian immigrants to the US—mainly doctors and engineers—have entered the university in large numbers. It is these alienated kids, desperate to discover their historical roots and cultural heritage, who are studying Sanskrit with a passion. The first chair in Sanskrit in England, the Boden Chair, was set up at Oxford in 1831. Later chairs were founded in University College, London, Edinburgh, and Cambridge. The Boden chair continues till today in addition to two other faculty positions. Professor Richard Gombrich, the present occupant of the chair, is known worldwide for his extraordinary work on Theravada Buddhism. Today Oxford offers three kinds of degrees in Sanskrit: the three-year BA, the two-year M.Phil in classical Indian religion, for which Sanskrit is taught intensively, and the D Phil. The majority of the undergraduates are usually British students, while the research students are mostly from overseas, including a few Buddhist monks and nuns from South-East Asia. In an attempt to popularise Sanskrit, Gombrich, has become associated with a new publishing venture. In the style of the Loeb classical library of Latin and Greek, the series will produce readable translations of Sanskrit literary texts printed alongside the originals. The chair of Sanskrit in Edinburgh was established by the endowment of John Muir. The university of Edinburgh offers either a full honours course in Sanskrit or a joint honours course with Latin, Greek or Linguistics. Unfortunately, the interest in Sanskrit in Britain arose largely through colonial involvement. This, Dr John Brockington, who today teaches Sanskrit in Edinburgh feels, ”has been at once the strength and the weakness of Sanskrit studies in Britain”. The end of British rule in 1947 dampened the interest in Sanskrit, for instance, the Edinburgh chair was disestablished in 1949. The Sanskrit craze has, however, caught up in the US. Unlike Britain, and unlike its own past, it is totally demand driven. But first, some background. The teaching of Sanskrit first began at Yale university under professor Salisbury in the late 19th century. His student William Dwight Whitney became the pioneer in the development of American Sanskrit studies. This soon spread to Harvard, Berkeley, Chicago, Michigan, Pennsylvania and other campuses. Today several American campuses offer Sanskrit along with modern Indian languages such as Hindi, Urdu, Punjabi and Tamil. Student unions sit on hunger strikes demanding more and more departments. It has happened at the University of Texas at Austin and in various California campuses. Although Sanskrit began to be taught at the University of Michigan, as early as the 1890s as part of Oriental languages, today, it is attracting large undergraduate crowds. Until 1985, it was primarily a graduate subject attracting mainly foreign students. Not any more. Most second generation Indo-American kids majoring in engineering, medicine, and business studies read Sanskrit not as a specialised branch but to satisfy the four-term foreign language requirement. The University of Chicago attracts almost 30 or more undergraduate students every year to study Sanskrit. There are five faculty members teaching Sanskrit. Ditto at Harvard University which has a full fledged department of Sanskrit. In the other US universities it is a part of the South Asian departments and very popular among the Indo-American kids. However, the interest in Sanskrit persists even in those places where there is no demand. The last conference of the International Association of Sanskrit studies held at Turin, in Italy, according to Brockington was, an eye-opener. There were a number of Sanskrit scholars from the Eastern European countries, including Poland, Hungary, Croatia, Bulgaria, and Russia. Unlike the US, most of these countries hardly have much of an NRI population. They hardly have any temples. No community funding, no involvement of local populations. Yet, the zeal for Sanskrit continues. While we in India today consider Sanskrit a dead language, the Westerners consider it as simply a fascinating language, a language in which the genius of the human civilization was perfected to its fullest. The wonderful structure of Sanskrit is better than Latin. ”Sanskrit is the mother of all languages, and it could become the unifying language of India, apart from English, which is spoken only, by a tiny minority. ”Sanskrit ought still to have a future as the language of the learned and it will not be a good day for India when the ancient tongues cease entirely to be written or spoken”, admonished 50 years ago Sri Aurobindo, India’s great Sage and Seer. A dead language, you say! Impossible to revive? But that’s what they argued about Hebrew. And did not the Jewish people, when they got back their land in 1948, revive their ”dead” language, so that it is spoken today by all Jewish people and has become alive again? The same thing ought to be done with Sanskrit. Juan Mascaro (1897 – 1987) taught at Oxford University, Parameshvara College at Jaffna, the University of Barcelona, and Cambridge University. Source: The Bhagvad Gita – translated By Juan Mascaro Penguin Classics, 1962. Sri Aurobindo Ghosh (1872-1950) most original philosopher of modern India. Education in England gave him a wide introduction to the culture of ancient, or mediaeval and of modern Europe. The Bhagvad Gita – translated By Juan Mascaro Penguin Classics, 1962. Unfolding Allahabad’s Glorious Bond With Hindi! The contribution of Allahabad cannot be ignored in expansion of Hindi. This great city-the Oxford of East- and the city that played a great role in freedom struggle has played an important role in shaping the destiny of Hindi. It not only produced great leaders but it also gave rise to intellectuals that made significant contributions in various spheres of life. True, the onslaught of commercialization has given rise to “Khichadi” language hailed as Hinglish but that has not weakened Allahabad’s bond with cause of Hindi. This city has moved ahead with its agenda to enrich Hindi. Let’s look at the contributions of some of the people closely associated with the cause of Hindi in Allahabad. Mahdevi Varma’s name needs no introduction. “She was a major poet of the Chhayavaad generation, a period of romanticism in Modern Hindi poetry ranging from 1914-1938. With passage of time, her limited but outstanding prose has also being recognized as unique in Hindi Literature.” She was awarded many prestigious awards by the government of India which include the Sahitya Akademi Fellowship in 1979, followed by the Jnanpith Award in 1982, Padma Bhusan and Padma Vibhushan. Her majaor works include Yama, यामा-1936, Neehar (1930) Agnirekha, pagal hai kya, Deepshikha, Rashmi , Sandhyageet and Neerja. She was born in Jabalpur but came to make Prayag her “Karmabhoomi” (the city of livelihood). She established a forum for wannabe writers. She was also the editor of magazine “Chaand” published from Allahabad. She came to serve Allahabad (Prayag) Mahila Vidyapeeth as its first headmistress. None can forget the other worldly soul Suryakant Tripathi ‘Nirala’. This soul, originally belonging to Unnao district in UP, was born in a Brahmin family in Bengal (Midnapore). However, he shifted to Allahabad and remained there for rest of his life. He lived at Daraganj locality of Allahabad. Nirla was instrumental in strengthening Chhayavaad (छायावाद) movement along with Jaishankar Prasad, Sumitranandan Pant and Mahadevi Varma ). He was born rebel and that same spirit could be traced in his writings as well inspired by likes of Ramakrishna Paramhansa, Rabindranath Tagore and Michael Mudhusudan Dutt. 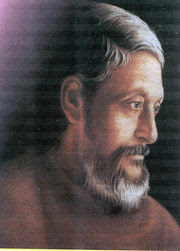 His main main literary creations are Saroj Smriti, Tulsidas, Aradhana, Parimal, Anaamika, Apsara, Alka, Prabhavati, Nirupama, Chhaturi Chamar, Sukul ki Biwi, Kullibhat and Billesur Bakriha. He also translated some important literary masterpieces which include Anand Math, Vish-Vriksh, Sri Ramkrishna Vachnamrit, Bhatrat Main Vivekanand and Rajyog. Niralaji attained larger than life image because all through his life he remained selfless. He was mired in tragedies but kept providing spirit of survival for people trapped in miseries of life. 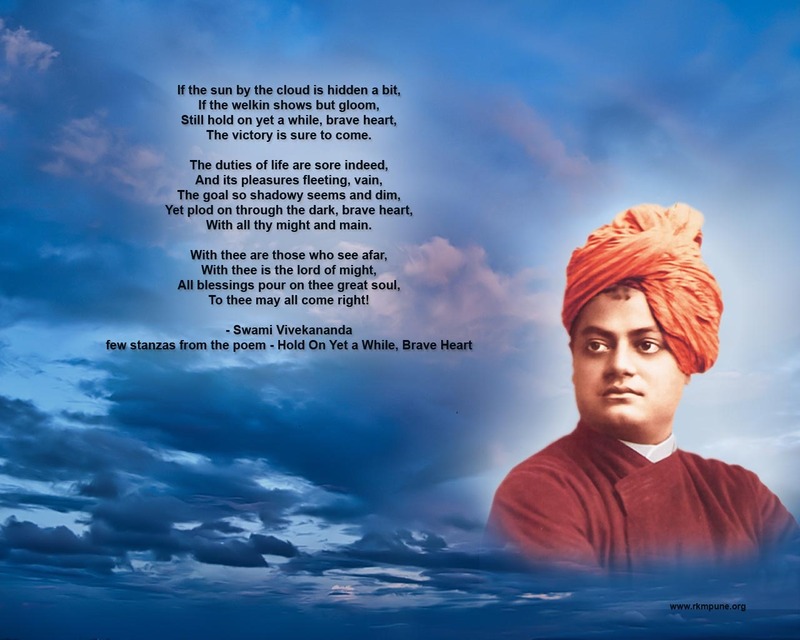 No wonder his words ” Himmat Karne Walon Ki Har Nahi Hoti (Those who have courage never fail)” inspire us till today. Who can forget these memorable lines “बांधो न नाव इस ठांव बन्धु,पूछेगा सारा गांव बन्धु “or” तोडती पत्थर… देखा उसे मैंने इलाहबाद के पथ पर” ? Next in the list of great writers arrives Dr. Dharamvir Bharati. He was “renowned Hindi poet, author, playwright and a social thinker of India.” His “Gunahon Ka Devta” is hot favourite among the youths even in our present times and “Suraj ka Satwan Ghoda” inspired Shyam Benegal to make a movie on it. This movie won the National Award. He was the chief-editor of the popular Hindi weekly magazine Dharma Yug published by The Times of India group. He worked as lecturer in Hindi in Allahabad University. His important works include Andha Yug ,Kanupriya, Thanda Loha, Murdo ka Gaon and Thele par Himalayas ( ठेले पर हिमालय). Now it’s time to remember Sumitranandan Pant. He was a very popular modern Hindi poet who belonged to the Chhayavaadi school of Hindi literature. He came to win Jnanpith Award for collection of his most famous poems, Chidambara, and the Nehru Peace Prize by the Soviet Union for Lokayatan. The teachings of Sri Aurobindo left an indelible impression on his mind leading to philosophical poems. His major works include Chinti, Chidambara and Veena. Lastly, let me also say something about Mahavir Prasad as well. His period known as “Dwivedi” age is significant in making Hindi the language of the nation. An important figure who is representative of period (1893-1918) sandwiched between Bhartendu Period (1868-1893) and Chhayavad Yug ((1918-1937) in Modern period of the Hindi literature. He became the editor of Hindi magazine Saraswati and in his period (1903-20) the popularity of this magazine attained new heights. 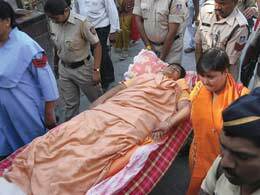 On his death his disciple Maithalisharan Gupta said that he wished to see him as his Guru(teacher) even in the next birth. Mahavirji helped in rise of new set of writers. He knew eight language and his writings reflected the problems of farmers. Well, these were some of the prominent figures who added new dimensions in growth of Hindi. Apart from that founder of BHU and Hindu Hostel Madan Mohan Malviya also palyed a great role in expanding the cause of Hindi. Today we find this city having host of literary organizations actively involved in promotion of Hindi. Though I feel they should work in tandem, it’s anyway a positive sign that they are serving the interests of Hindi. Likes of Vasu Malviya have always appeared from time to time here on this part of glorious land. Amarkantji- winner of Sahitya Akadami Award in 2007 for his work Inhin Hathiyaron Se -is also an important figure. The other literary geniuses of this city who have contributed in the growth of Hindi are Harivansh Rai Bachchan (Madhushala), Upendra Nath ‘Ashq’, Rajendra Yadav, Namwar Singh and Kamleshwar. The contributions of Vibhuti Narain Rai, Mrinal Pandey, Virag Mishra and Ram Kumar Varma can also not be ignored. The publications like Neelabh, Rajkamal and Lok Bharti have kept the literary traditions alive. The institutions like Hindustani Academy(1927) and Hindi Sahitya Sammelan(1936) are doing a good job in promoting the cause of Hindi amidst the onslaught of Hinglish Yug !!! 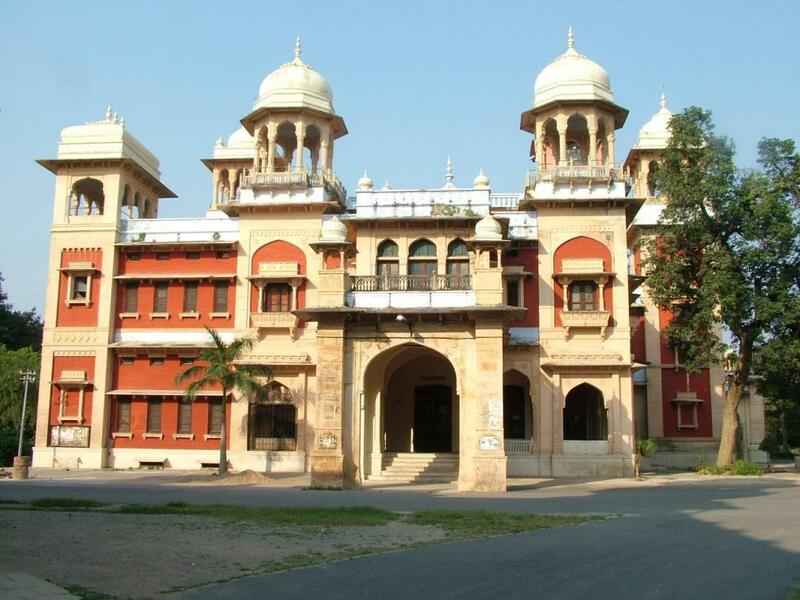 Even the Allahabad University by sponsoring bodies like Hindi Parishad, Hindi Samiti, Hindi and Anusandhan Samiti, to name a few, have ensured that Hindi remains alive. A branch of Mahatma Gandhi Antarrashtriya Hindi Vishwavidyalaya Wardha is also doing a good job. 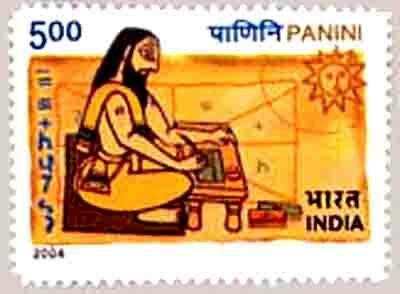 The prominent Hindi literary organisations like Parimal and Parichay have invoked fascinating trend patterns. Anyway, it hurts that likes of Amarkantji and Suresh Kumar Shesh did not get the credit they deserve from the people involved in promotion of Hindi. This forced Amarkantji to live virtually in penury. If one really wishes to see Hindi gain a proper status in India, the government needs to ensure that people involved in promotion of Hindi are encouraged in proper ways. One thing more. 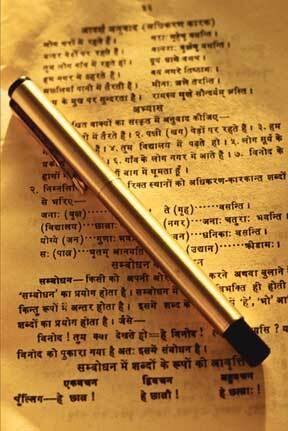 The various Hindi literary organizations need not come in conflict with each other over petty concerns. At present, that’s the state of affair in our present day Allahabad. I hope these institutions, keeping in mind the glorious legac, shall keep themselves above politics of all sorts. I am happy that my Hindi friends like Aradhana Chaturvedi ‘Mukti’, Navodita Sandhya, and Sampanna Kumar ‘Sagharsha’, to name a few, are involved in promotion of Hindi in their own unique ways. Though they are trapped in struggles of life, it’s quite evident from their love for Hindi that in coming days Hindi will shine in the sky of languages like never before.